Election 2018 – Welcome to Wyandotte Daily! They say it takes one to know one. As Kansas governor-elect Laura Kelly soon will be, former governor Kathleen Sebelius was a Democrat leading the state while Republicans controlled the Legislature. 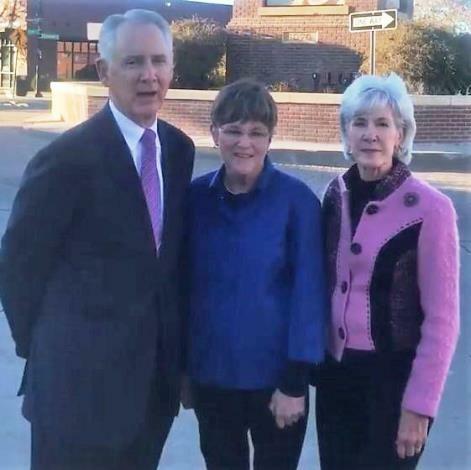 Jim McLean of the Kansas News Service spoke with Sebelius about the support from Republicans that helped Kelly overcome competition from Republican Secretary of State Kris Kobach and independent Greg Orman in the governor’s race and what will make her successful in office. Did the cross-party endorsements of Laura Kelly by prominent Republicans make a difference in the governor’s race? And then … to add [former Republican Gov.] Mike Hayden to that chorus was very significant. How well will Kelly’s reputation for bipartisanship serve her as governor? Sebelius: I think what she brings is a lot more than a reputation. She has hands on experience in the Legislature, building consensus and building coalitions. She has relationships with a lot of the people who she will be serving with and continuing to serve with. And she also has been elected as a legislator. She knows what that takes, what they’re telling their constituents back home, what they need to produce in Topeka. I always felt that … it was a huge advantage to me to be a governor who had served in the Legislature because you know the job very well and you know what the committees are like and you know how to get things done. Laura [Kelly] has that in spades. And what she knows very well is even if all the Democrats vote for all the legislation she proposes, she loses every fight, so she has to have a way to put a coalition together. … It’s a different [coalition], depending on what the issue is — school finance issues may be one group of people; something on criminal justice reform may be a very different group of people; economic development and building roads and bridges may be a third. But … knowing what that coalition might look like, knowing how to get that done … [Kelly] does not need training wheels for this job. She’s ready to go. How has the political climate changed since Sebelius was governor of Kansas herself? Sebelius: I definitely think the atmosphere is more partisan and more poison. Kris Kobach embraced [Brownback’s agenda] fully and then added some Trumpian features, but the [governor’s] race was really about whether or not the policies put in place by [former Gov.] Sam Brownback and [Gov.] Jeff Colyer should continue or whether we needed to move in a new direction. Jim McLean is managing director of the Kansas News Service, a collaboration of KCUR, Kansas Public Radio, KMUW and High Plains Public Radio covering health, education and politics. You can reach him on Twitter @jmcleanks. Kansas News Service stories and photos may be republished at no cost with proper attribution and a link to ksnewsservice.org. State Rep. Kathy Wolfe Moore, D-36th Dist. Incumbent Rep. Kathy Wolfe Moore, D-36th Dist., won re-election Tuesday night as Wyandotte County voters set a record in voter turnout for midterm elections. The 49.13 percent voter turnout here saw 40,853 ballots cast, according to election office records. “Over the years, Wyandotte County has gotten sort of beat up,” Rep. Wolfe Moore said, with people saying that Wyandotte County voters don’t turn out. “Well, this election, Wyandotte County did its job,” Rep. Wolfe Moore said. The 49 percent turnout was a record for a midterm election, according to the election office. It compares to a turnout of 29,123 in the midterm election of 2014, which was 35.3 percent, according to Rep. Wolfe Moore. “So Wyandotte County showed up big at this election and should be proud of their performance,” she said. Why the high turnout? Rep. Wolfe Moore said it was because the Democratic candidate at the top, Laura Kelly, was a good candidate and drove a lot of voter excitement, along with the 3rd District Congressional candidate, Sharice Davids. Different people got involved in this election, she added. A lot of clergy members in Wyandotte County participated by encouraging voter turnout, not endorsing candidates but sponsoring “Souls to the Polls” and other voter turnout events, she said. Rep. Wolfe Moore attended Gov.-elect Kelly’s election watch party on Tuesday evening in Topeka. Women were elected to many offices throughout the nation on Tuesday night, with more women running for governor nationally. Rep. Wolfe Moore said there seemed to be a lot of enthusiasm among women voters for women candidates this year, possibly driven by what’s going on in Washington, D.C.
“I think women candidates had an advantage this year, no doubt,” she said. It might be difficult for a Democratic governor where Republicans control the House and Senate to get things done. Gov.-elect Kelly is expected to appoint people from the Democratic and Republican parties to her administration, Rep. Wolfe Moore said. She believes that it’s possible to run a successful bipartisan administration, because former Gov. Kathleen Sebelius previously did so, and was successful at getting her policy priorities accomplished. She always had to work with the opposing party to get anything done, Rep. Wolfe Moore said. Rep. Wolfe Moore, an eight-year incumbent, won her contest with about 70 percent of the vote. Her district is on the northwest side of Wyandotte County. The campaign was a very civil one, with Rep. Wolfe Moore and Chiquita Coggs, the Republican nominee, not engaging in negative campaigning. Coggs was the only Republican who filed for a state representative position in Wyandotte County. State Rep. Tom Burroughs, D-33rd Dist., won re-election Tuesday night with 67.8 percent of the vote against Libertarian Jason Conley. Other state representatives, without opposition, who were re-elected here included Rep. Louis E. Ruiz, D-31st Dist. ; Rep. Pam Curtis, D-32nd Dist. 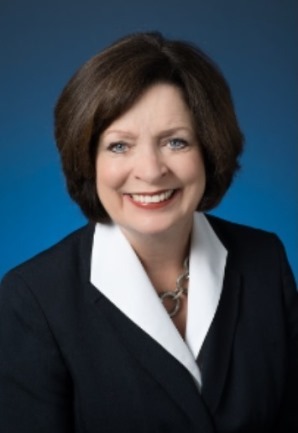 ; Rep. Val Winn, D-34th Dist. ; Rep. Broderick Henderson, D-35th Dist. ; and Rep. Stan Frownfelter, D-37th Dist. A supporter held a campaign sign for Rep. Kathy Wolfe Moore, D-36th Dist., on Tuesday morning at 72nd and Yecker, near the Eisenhower Recreation Center in Kansas City, Kansas. Six months ago, very few people in the Kansas 3rd Congressional District even knew Sharice Davids’ name. Now she has made history. Davids is the first openly gay representative in Kansas history. She joins Deb Haaland from New Mexico as the first Native American women in the House. Anticipation was high for this first-time candidate. Campaign organizers say 1,000 people RSVP’d the watch party in Olathe. They came expecting a win, but few people thought she would beat incumbent Rep. Kevin Yoder by nine points. By 9 p.m., the crowd was cheering and dancing as Davids pulled away from Yoder. An hour later, dozens of her supporters were already sporting “Re-elect Sharice Davids” buttons. The national implications for the race were obvious when Davids was introduced by Annise Parker, the first openly gay mayor of Houston and the CEO of the LGBTQ Victory Fund, an early backer of Davids. “This race was not just about Kansas,” Parker said. It was also a diverse crowd, with African-Americans, LGBTQ couples and Native Americans in attendance. “This win was huge and long overdue,” said Collin Price, communications director of the Ho-Chunk Nation, of which Davids is a member. “To see someone who looks like us, it’s cool,” he told KCUR. Running for his fifth term, Yoder was well known in the district. Before that, he spent four terms in the Kansas House of Representatives. He has lived for most of his adult life in Overland Park. Yoder was born near the Hutchinson, Kansas, area, and graduated from high school there. Davids went to Leavenworth High School. Yoder, during the campaign, suggested Davids was a carpetbagger who moved back to Kansas simply to run for Congress. He also attacked Davids for suggesting on a podcast that she might consider abolishing U.S. Immigration and Customs Enforcement. Davids denied that charge in TV spots and interviews. Davids seemed to come out of nowhere. She joined a crowded Democratic field just six months before the August primary. She announced her candidacy the day after 17 people were gunned down at a Florida high school. Davids made gun control and health care the two main pillars of her campaign. Her two chief rivals, Brent Welder and Tom Niermann, had both been campaigning for months before Davids announced. She got a big boost in the primary when Emily’s List kicked in more than $700,000 to her campaign. After that, she was a fundraising machine. Her campaign raised $2.7 million, according to the Federal Election Commission. Yoder raised almost $1 million dollars less than his rookie Democratic opponent. Sam Zeff is KCUR’s metro reporter. You can follow Sam on Twitter @samzeff. Frank Morris contributed to this report. Kansas News Service stories and photos may be republished at no cost with proper attribution and a link back to kcur.org.